A pattern devised with Paul Wraight, a regular to Albury’s Vale End fishery. It looks just like the name suggests, a Legless Daddy, but it actually does well as a sunk buzzer pattern. Fish this one in the spring in about three to four feet of water and watch for takes on the drop. The essential thing in learning to cast is to use a line which is heavy enough for the rod. That brings the action of the rod into full play and casting is then almost effortless on the part of the angler, at any rate, with a short line. 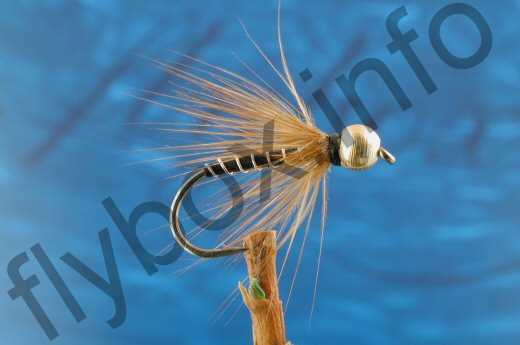 Currently there are no comments about the Daddy No Legs Goldhead fly pattern from other fly fishermen yet.